Here is a map displays territory of Georgia, of Russia. actual map of Tarskoye for Garmin. topographic map of Dzhayrakh 1 cm to 1 km here. detailed map of Yersh displayed. actual map of Vonushki with gps calibration for Garmin. free map of Verkhniye Khuli 1 cm to 1 km this. actual map of Kani calibrated presented. topographic map of Tumga 1 cm to 1 km this. map of Terk free download. map of Tergula calibrated displayed. actual map of Shroma for you. actual map of Shon и OziExplorer calibration for Garmin. topographic map of Staraya Saniba 1 cm to 1 km for Garmin. detailed map of Ol'geti with gps calibration for Garmin. free map of Oben for you. 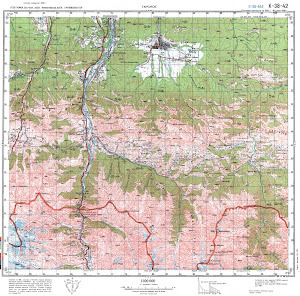 detailed map of Nizhniy Lars here. free map of Guli with gps calibration download for free. map of Nizhniye Kani 1 cm to 1 km download for free.